Joe’s on Weed St has exceptionally delicious Buffalo Chicken Dip. 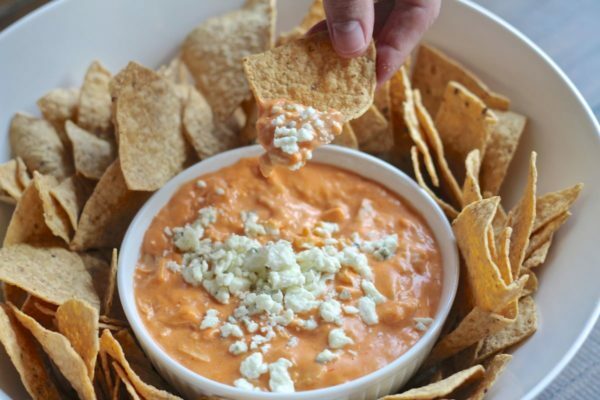 It has a cheesier creamier consistency than other versions of the dip. 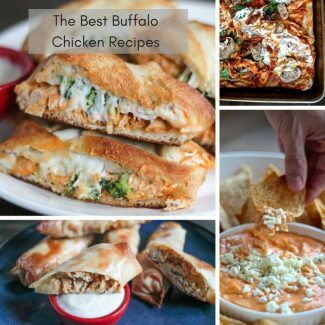 Most buffalo chicken dips are made by layering cream cheese, buffalo sauce soaked chicken, and cheese. 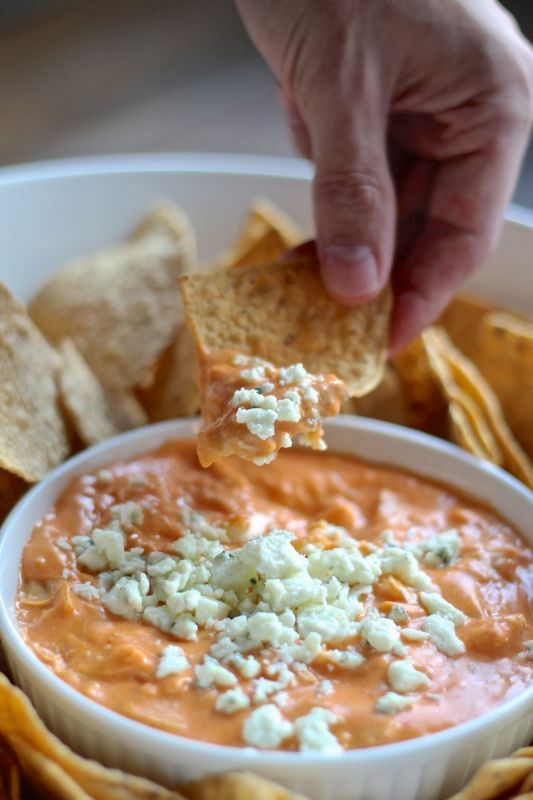 Joe’s dip (pictured below) isn’t layered, instead is consists of a spicy melted cheese sauce with chunks of chicken, sprinkled with blue cheese. After a recent visit to Joe’s I was inspired to create my own version of their dip, and I think that my recipe is pretty close to the original. I brought this dip to a party where it was promptly devoured. 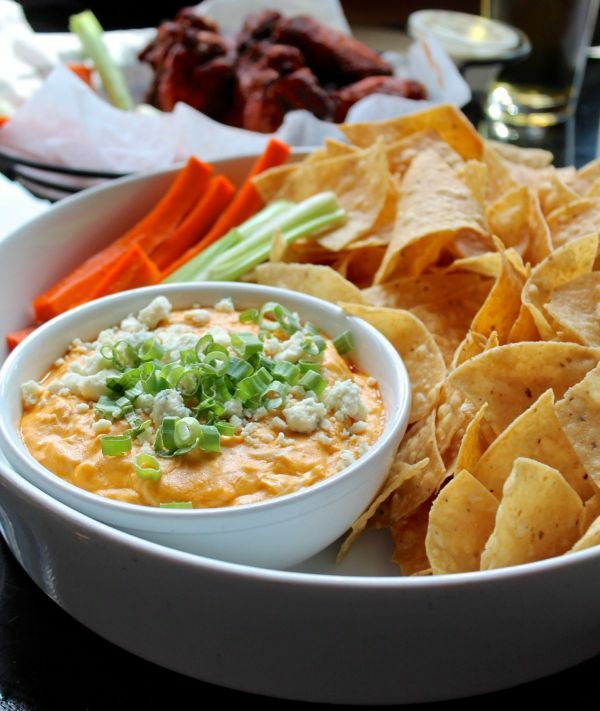 This dip has all the flavor of buffalo chicken wings, without all the mess. 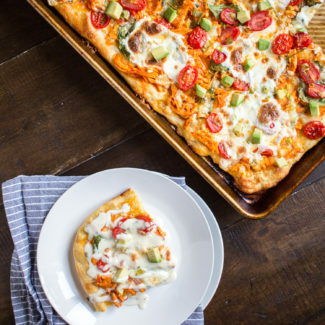 With football season starting, you might want to make this when your friends come over to watch a game. 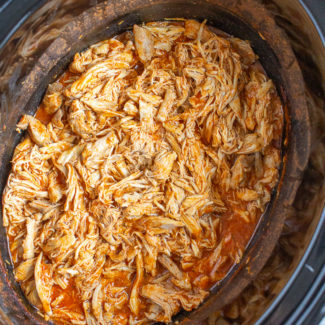 Place the shredded chicken in a bowl, and pour the Franks hot sauce over. It will take about 3/4 cup of completely soak the chicken, but you might want to use less sauce if you want to make a more mild dip. 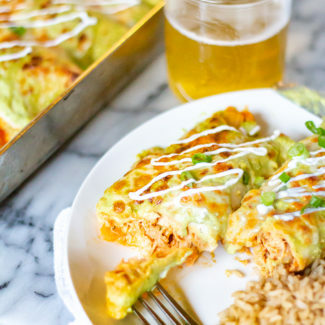 Plus, you can always add more hot sauce later. Heat the milk in a saucepan over medium heat. Whisk in the flour until it is completely incorporated. Bring the milk and flour mixture to a slow boil, while whisking frequently. Once the mixture boils, stir constantly, letting the sauce thicken for 1 minute. Add the cheese to the sauce, and stir until melted. Then season with salt and pepper to taste. Reduce the heat to low. Stir the chicken into the sauce. Taste the sauce and add more hot sauce if you like. 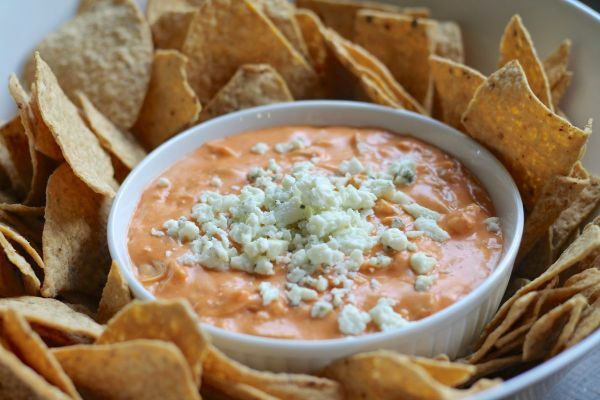 Pour the dip into a bowl, top with the blue cheese, and serve immediately with some dips. 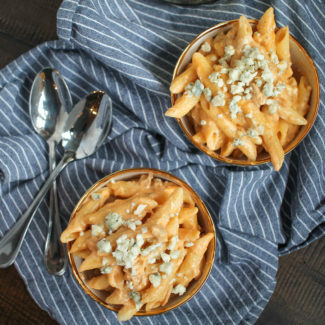 Or if you aren't serving the dip right away, keep the dip warm in a 300 degree oven, and add the blue cheese once you are ready to serve. 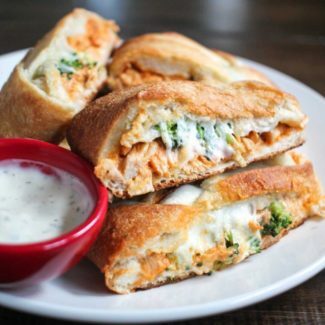 Want a healthier Buffalo Chicken recipe? 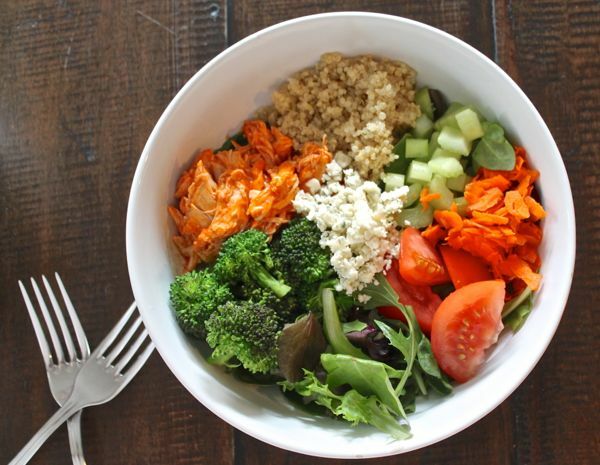 This Buffalo Chicken Quinoa Salad is loaded with protein and veggies, and it is one of my favorite healthy dinners. Plus, if you swap the lettuce out for more quinoa and veggies, it can be made in a big batch and packed for lunches throughout the week.